Identifying the dogfighter’s equipment and paraphernalia. What’s the equipment used for and how? What are the dogfighters thinking? What are the dogfighters doing to keep you off their trail? Answers to expect during interviews and which probing questions to ask. 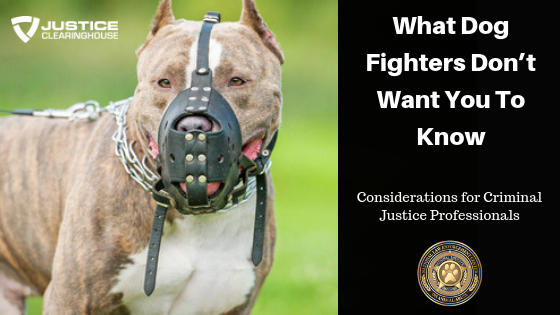 What you can do to make sure you have probable cause for dogfighting.